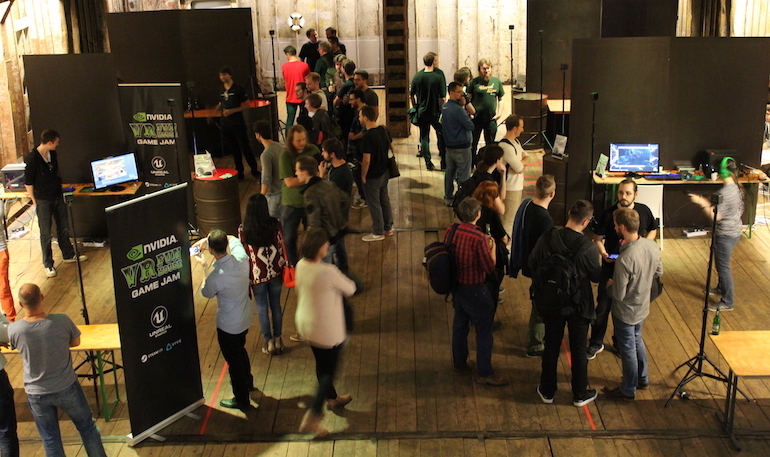 The VR Funhouse Game Jam held in Hamburg last September was an incredible mix of technology, talent and atmosphere. Held on the M.S. 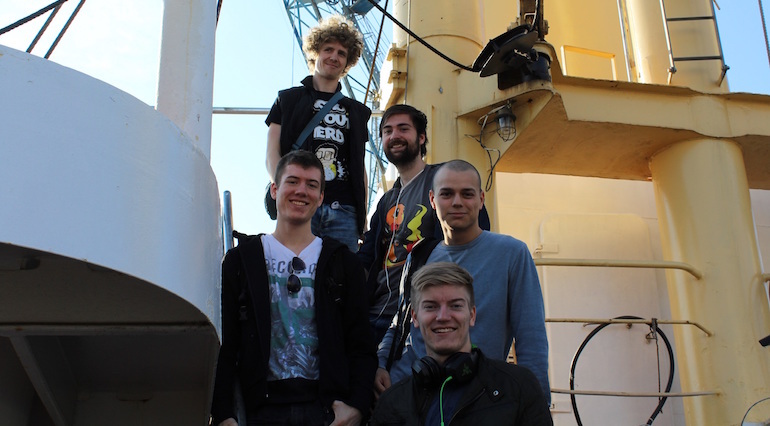 Bleichen docked in the Hamburg Harbor, seven teams boarded the ship for a weekend to build mods for NVIDIA’s VR Funhouse which combines the power of Unreal Engine 4 and NVIDIA’s VRWorks and GameWorks technologies. "Pop it or drop it." Based in Breda, Netherlands, Dreampunks have proven themselves to be VR jamming experts. 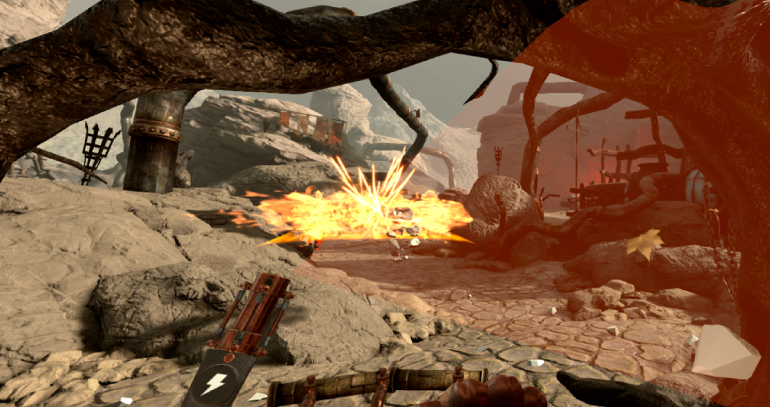 Back in April, they won “the Totally Awesome Unreal Engine Award at Nordic Game Jam.” As well as taking their winning game jam game forward, they have two other VR projects on the go. 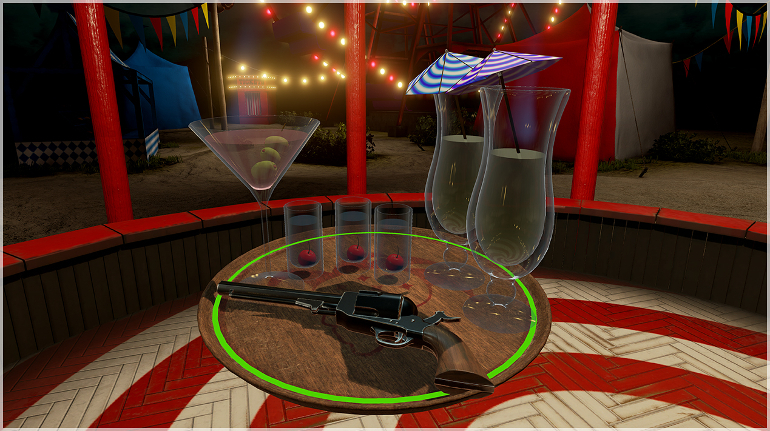 In Angelo, Jack, Paul, Reinout and Rene’s mod, test your coordination as you try to balance a tray of drinks whilst shooting down the objects launched at you. Download Waiter Wars. "Defend yourself on this mad rollercoaster. Hopefully." From the Hamburg Studio of Daedalic, who are working on titles such as The Long Journey Home, Nick, Tobias and Steffan joined us on the MS Bleichen to make Power Tower; dodge projectiles and defend yourself on this spooky, crazy rollercoaster! "Fiery tales from the magical wastelands." Joining us from Poland, Carbon Studios have just launched their eagerly anticipated title Alice VR. Karolina, Błażej, Daniel and Aleksander came on board to make the Wizard’s Funhouse. Keep the enemies back using your magical powers and get your wizard on! "Stacked shelves. Empty belly. Sweet tooth." 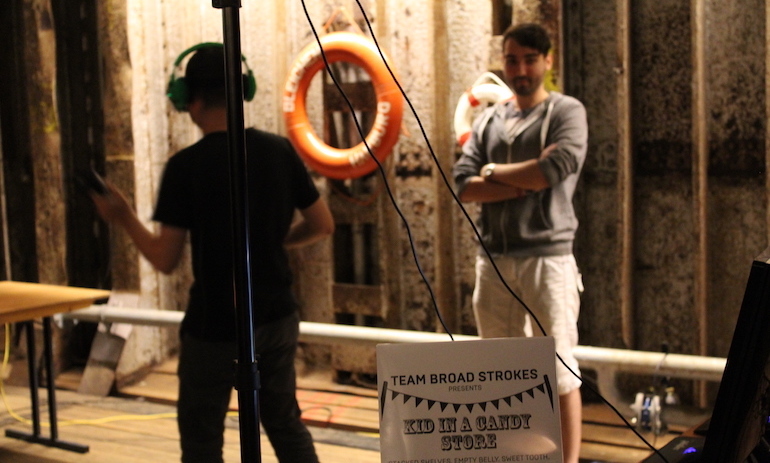 Comprised of some of the most active members of the Unreal Engine community, Team Broad Strokes are no strangers to game jams. 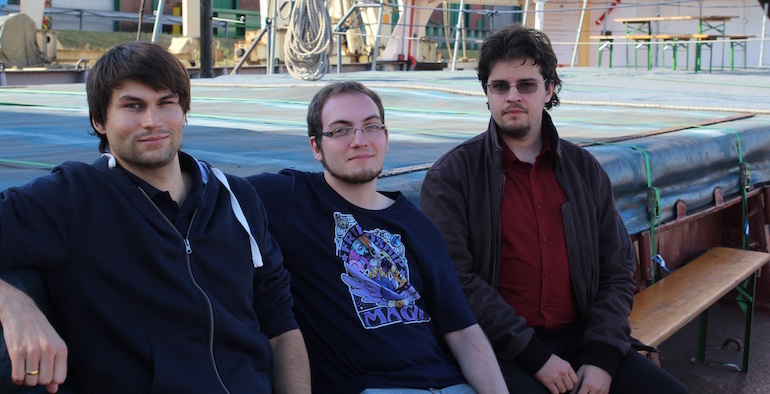 Back in April, Jan & Bartosz were part of the team who won the #ue4jam with Grabbity. With the addition of Cedric, they created their Kid in a Candy Store mod. Throw all caution to the wind and tuck in to as many sweets as you can - but be careful you don’t caught! Rick, Chris and Marcus jumped on board and got straight to creating The Secret Ingredient. 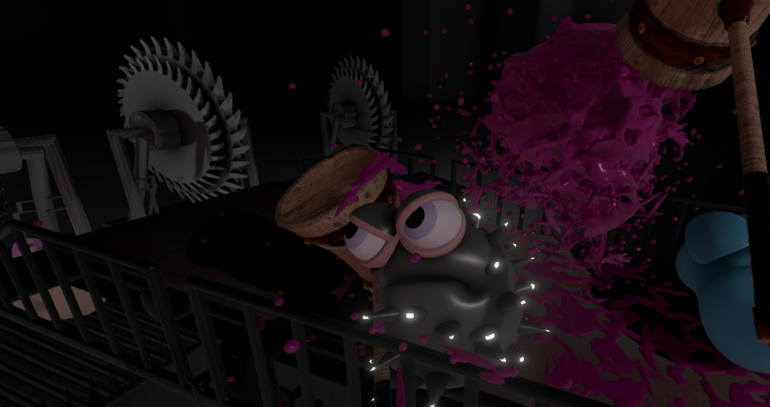 Made entirely using the Linux version of the Unreal Editor, in this mod squash all the ‘bugs’ to make sure only the healthy, yet adorable, animals get minced for food! Download The Secret Ingredient. "Use the light to make the clowns happy." Travelling all the way from Barcelona, Professor Carlos Carlos Coronado brought along two of his students, Marc and Carla to make Happy Clowns. If clowns creep you out, steer clear! With a torch as your only weapon against ghostly clowns, shine light on them to keep them at bay. But watch out, the torch's battery is terrible and requires lots of charging. Can you hold the clowns, and your nerves, at bay in this creepy carnival? "The only thing that can ruin this Oktoberfest is a clumsy waiter." 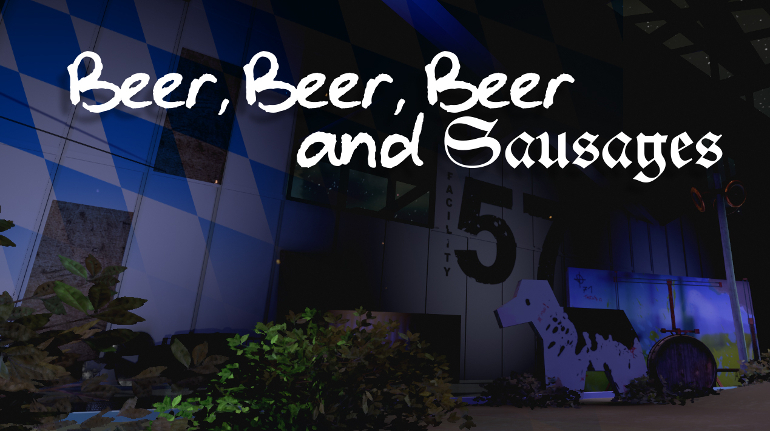 Based out of Munich, Steffan, Daniel and Lukas from Aesir decided to use their Bavarian influence to make a mod based on Oktoberfest. There’s a line of hungry and thirsty customers to serve; use crazy fluid simulation to fill up tankards and cover the sausages, the customers, the kitchen and yourself in sauce! Download Beer Beer Beer and Sausages. On the Monday following the event, we invited the public in to play the new experiences and raffled off prizes from Epic Games and our partners. 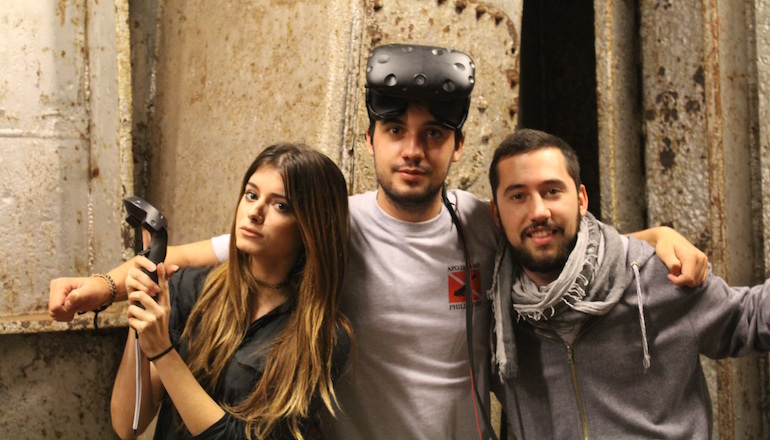 For some, it was their first time experiencing VR and the HTC Vive. Despite some of the scary looks, there were lots of happy faces all around! We want to extend a huge thank you to Valve, HTC and NVIDIA for sponsoring the event, and to the UE4 developers for making the magic happen. 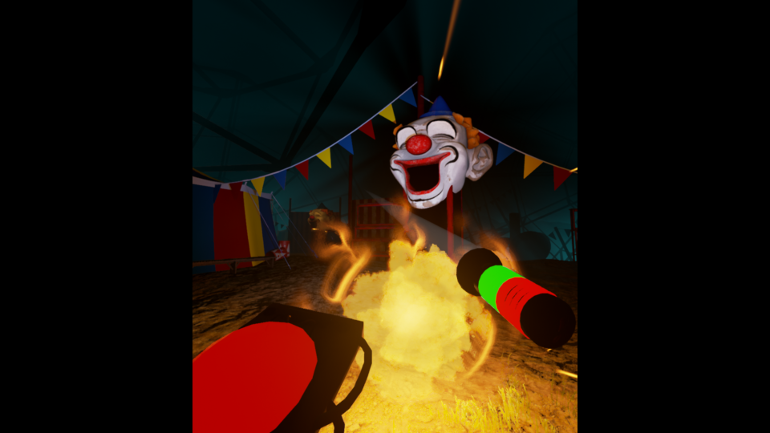 You can download VR Funhouse for free on Steam, and the mods can be downloaded from the game's Workshop page. 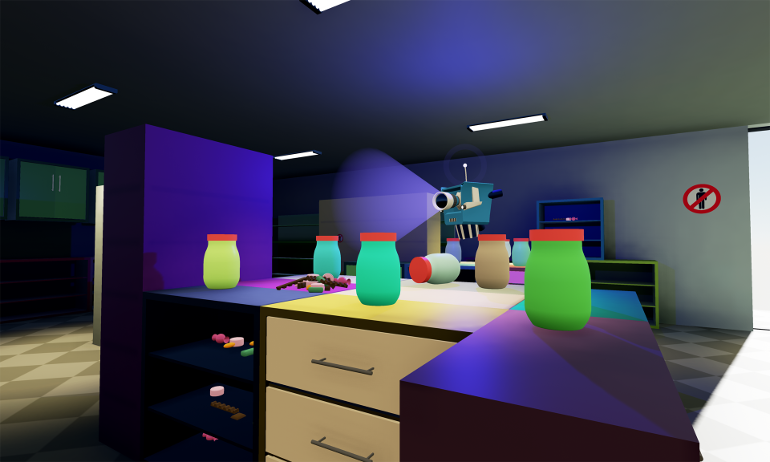 Interested in making your own mod for VR Funhouse? 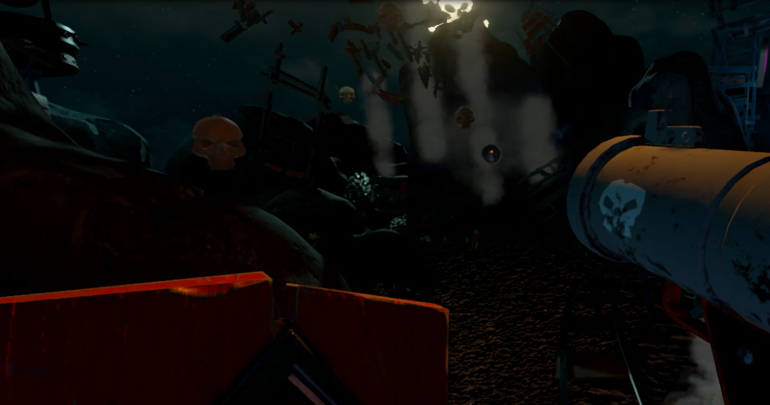 Download the VR Funhouse Mod Kit from the Epic Games launcher and get going.